The latest collaboration between Off-White and Jordan Brand is just days away from launching. Releasing exclusively at European retailers starting next month, this anticipated Air Jordan 1 will be one of the most sought-after sneakers of the year. Ahead of its release, Nike announces the boutiques that will carry this coveted silhouette. Originally unveiled at Jordan Brand’s Flight of Future event in late January, this Air Jordan 1 was slated to release in late February but instead was pushed back to the early part of March. Launching in limited quantities in men’s and kid’s sizes, this sneaker is dressed in a white premium leather upper with hits of light blue and gray splattered throughout the canvas. 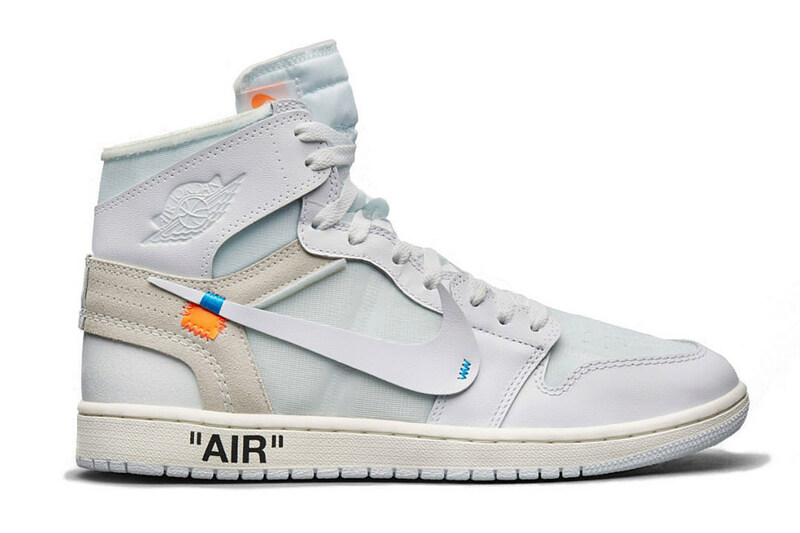 In addition, the silhouette includes orange accents on the Swoosh Nike check, tongue and heel while the Nike and Off-White signature hang tag, in a powder blue colorway, are included on the right hand sneaker. Retailing for a suggested price of $190, the Virgil Abloh Air Jordan 1 White will release on Sat., March 3. Check out below the list of European retailers carrying the shoes this Saturday.